Welcome to the Financial Café! Do you know everything you need to know about your finances? Chances are you may not and it might even seem overwhelming to take time to learn what you should know. 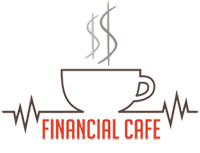 We’re making that easier for you by bringing to you, Financial Café, where we enjoy blending good coffee with common sense financial information to educate you! We invite you to join us weekly on Saturdays at 9:00 a.m. on 88.7, WSIE. And, if you miss our weekly broadcast, you can always download our free podcast to catch up on what you’ve missed. We’re bringing you timely and educational information on important financial topics that will help you learn more about financial options for you and your family as well as for your business and employees. Our topics range from retirement and financial planning to investments, benefits plan management and so much more. Isn’t it time you took control of your financial future? So go grab your favorite cup of joe, sit back and relax and join us each week at the Financial Café!